Connie Perez shares, eyes shining. She’s referring to her brand new, three-bedroom, handicap-accessible home located a mere twenty- second walk to her job at City Impact. She’s happy and comfortable now, but her path to this cozy home is nothing short of amazing. Born and raised in Lincoln, Perez has been a lifelong lover of the earth. She began working for Lincoln Parks and Recreation three years ago as a gardener at Peter Pan Park. Her job brought her past City Impact often, and day by day, she watched City Impact Homes taking shape and saw a chance to have her own home again. On a whim, she stopped into City Impact one day and simply asked, “How does somebody move into one of these houses?” After providing them with her contact information, Perez waited. A few months later, a postcard showed up in the mail declaring that a three-bedroom, handicap-accessible, ranch-style house was available. No way would she be approved for such a large home as only a single resident. But, with her sister egging her on, she filled out the application honestly (single, not handicapped, no young children) anyway and was called in for an interview. Living on a limited income, Perez had no idea how she would pay for the deposit and first month’s payment even if she did get the house. But with God, all things are possible, and that’s the promise that Perez held onto as she waited. For four years, Connie Perez worked for a company that cleans up buildings that have had severe fire or water damage. Over the years, Perez came to count the owner and his wife as friends and found herself excitedly sharing the possibility of this new place to call her own. “I’ve just got to come up with the deposit, probably pinch some pennies, but hopefully it’ll all work out,” she shared with her boss’ wife, who was just as excited as Perez. The following week, Perez went to work and was immediately called into the owner’s office. Thinking something was wrong, she entered nervously. But instead of being reprimanded, Perez found herself the recipient of an amazing gift; a check for $500, which would cover not only her deposit, but also the cost of moving into a new home. Perez was approved for the home, and had the keys to the front door within two weeks. “Even thinking about it now brings tears to my eyes,” she says. She interviewed, got the job, and now spends every Sunday and Tuesday night at the Impact Faith Academy and Impact Leadership Academy corralling children, setting up chairs, preparing for worship, coordinating supper, and making sure things run smoothly for the kids. “I would probably be coming over here anyway to help out, so I feel incredibly blessed to get paid to do it,” she says through a huge smile. 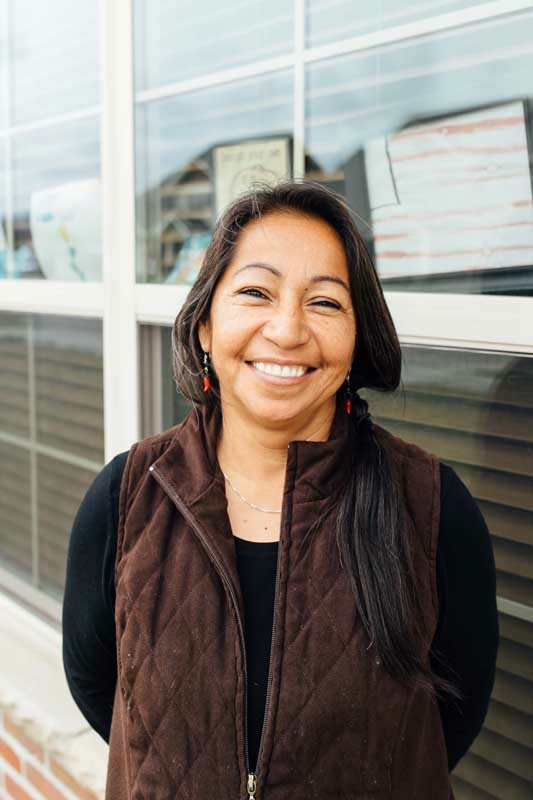 With Perez’ garden plot next to City Impact, she has been able to provide fresh vegetables for supper during the warm summer months, and this year has a Community Crops garden plot specifically to teach City Impact kids how to grow their own food. “What I like the best about gardening is that we have so many people from so many different countries,” Perez explains. “Some people don’t even speak English. But it’s amazing when you go into a garden, everybody speaks the same language; it’s like music.” This is what she wants to help City Impact kids experience. 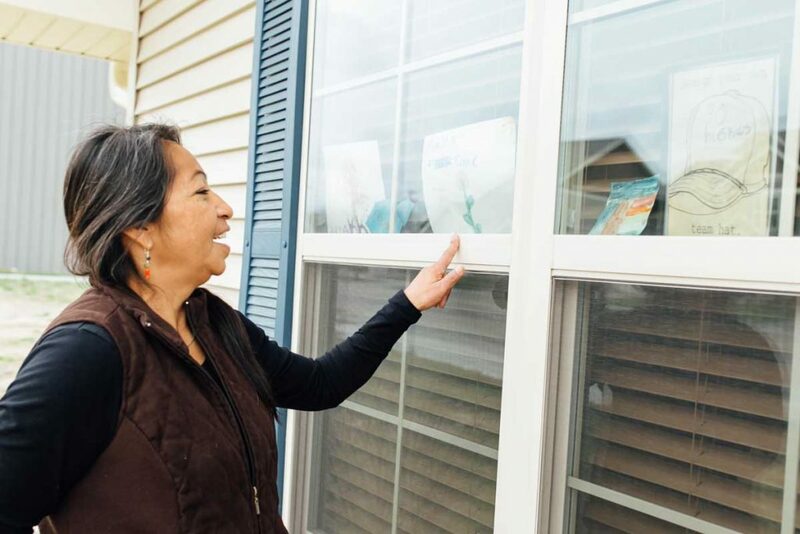 Connie Perez has been in her new home for two years now, and is a vital part of City Impact. Her face comes alive with joy when she shares how she joined the City Impact team and felt God moving so clearly in her life.